Year 1S OLC: Mission Markets Are Approaching! A reminder that our next two Think Mentals units are due in Week 4 (next Friday 11th August). The children have been asked to complete Units 8 and 9 by this date. Thank you for your continued support with homework. Our annual OLC Mission Markets are fast approaching (Tuesday 15th August). This year, both Year One classes are running a Lucky Dip stall. We are asking for donations of various small toys, stationery or wrapped lollies/lollipops that can be put into lucky dip bags for the children. 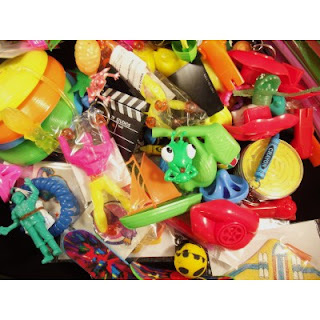 If you can get your hands on bulk packs of party toys like parachute men, party glasses, balloons, erasers or pencils this will enable more children to have a chance at our lucky dip stall. Coles, K-Mart and The Reject Shop all have great party sections where you can purchase a variety of these items. If we could have all donations brought into class by next Thursday 10th August it would be much appreciated. Many thanks for your support with our Mission Markets. All funds raised go directly to Caritas to support those in need.